With 5mm thick Aerospring foam and a flexible heel cradle, the Superfeet FLEXmax insoles offer long-lasting comfort for roomy footwear. 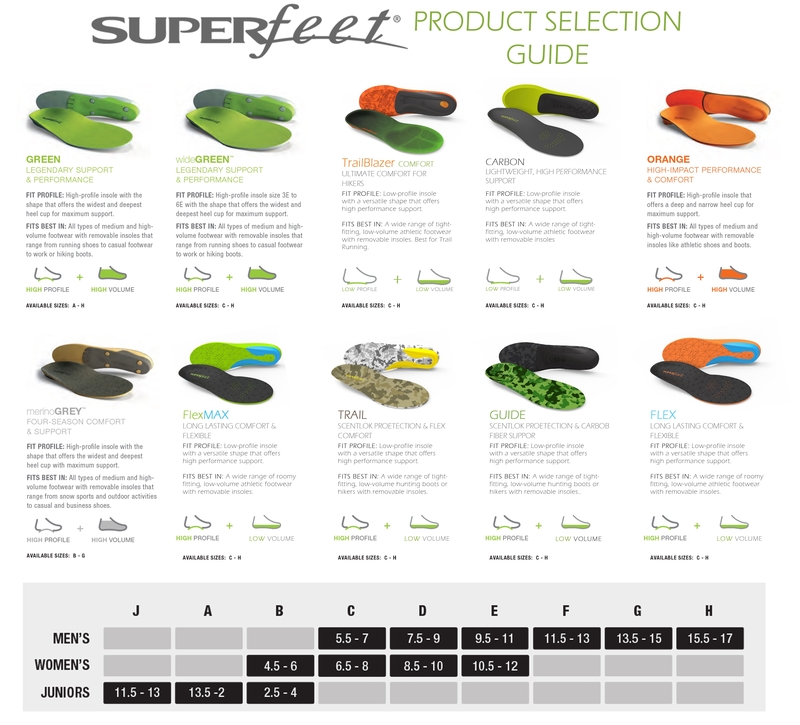 The Superfeet FLEX series of insoles offer an excellent introduction to the Superfeet experience because they give you the comfort that you need while still allowing your boot to flex and perform it's best. If you have high arches and a rather deep heel cup them the FLEXmax is the choice for you.